Here’s what’s happening on the movie scene in Seattle during the week of Aug. 4. Eight movies are being released in the Seattle area this week. Here are snapshots of what our movie reviewers thought of some of them playing at several theaters. ★★★½ “Detroit” (R): Kathryn Bigelow’s timely, taut drama puts us inside a real-life nightmare. Unfolding on a long, hot July night in 1967 Detroit, it depicts what is known as the Algiers Motel Incident (the title of a well-known book by John Hersey about that night), in which three unarmed black teenagers were shot and killed by a group of law enforcement officers. Full review. ★★★ “An Inconvenient Sequel: Truth to Power” (PG): Eleven years after the release of “An Inconvenient Truth” comes this new documentary, a climate-change progress report of sorts from Al Gore. The message, in essence, is: “I’m still here and so is the issue I’ve been championing all these years.” Full review. 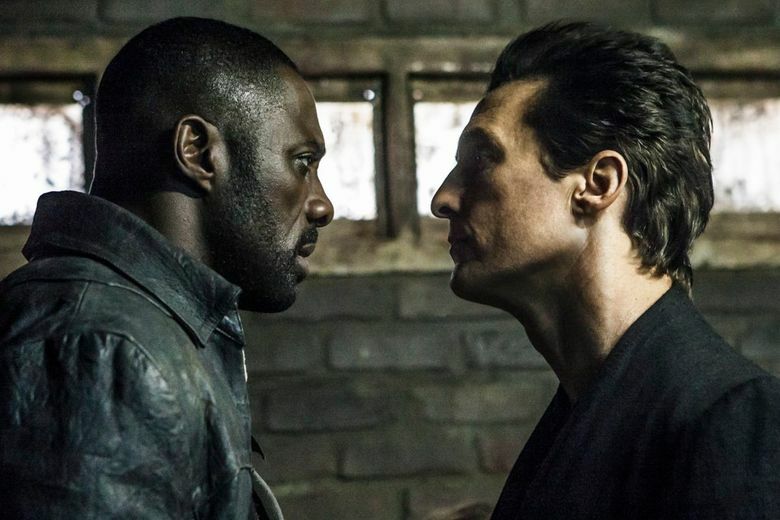 ★★★ “The Dark Tower” (PG-13): Stephen King’s sprawling eight-novel magnum opus has been distilled down to a compact 93-minute picture that’s an amalgam of horror, fantasy and Western-movie elements. Three powerful performances — by Idris Elba, Matthew McConaughey and Tom Taylor — drive the film. Full review. ★½ “Kidnap” (R): The low-rent action flick has the simplest of plots: Karla (Halle Berry) momentarily turns her back on her 6-year-old (Sage Correa) in a park, only to have him kidnapped by some thoroughly nasty specimens. She jumps into her minivan to follow them. And drives. And screams. And drives. And screams. Full review. “Brave New Jersey” (not rated): This comedy — starring Anna Camp, Heather Burns, Tony Hale and Sam Jaeger — focuses on a small New Jersey town on the night of Orson Welles’ legendary 1938 “War of the Worlds” radio broadcast, which led millions of listeners to believe the U.S. was being invaded by Martians. Varsity. “Fun Mom Dinner” (R): Four women (Katie Aselton, Toni Collette, Molly Shannon and Bridget Everett), whose only common ground is their kids’ preschool class, have a girls night out, which includes alcohol, karaoke and a cute bartender (Adam Levine). Varsity. “Some Freaks” (not rated): A romance develops between a boy with one eye (played by Thomas Mann) and an overweight girl (Lily Mae Harrington). When she loses weight after going to college, their relationship is tested in unexpected ways. Dine-In Seattle 10. “The Untamed” (not rated; in Spanish, with English subtitles): The main characters in this film have a close encounter with a mysterious space creature that’s a source of both pleasure and destruction. Grand Illusion.